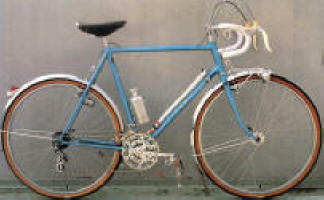 The premier Japanese bike maker working in the classic tradition. Complete bikes are available today with NOS European and Japanese components and a decidedly French influence. cycling in a grand style. 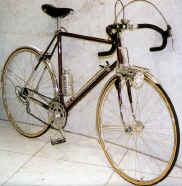 From New Cycling: a beautiful Burgundy Randonneur style Toei. Mr. Takao Noda's TOEI frame.